Buddabag is for those who love comfort, fun & quality. With more than 20,000 happy customers in 35 countries worldwide you know Buddabag is something special! 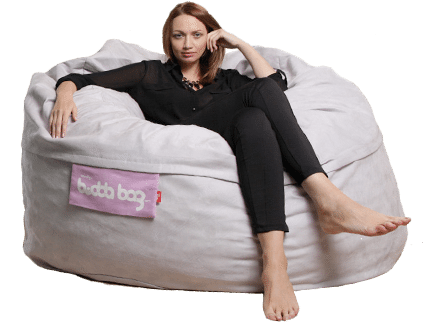 Buddabag is not just a common beanbag. Filled with the highest quality memory foam, it shapes to your body and adapts to your weight. It’s 100% made in Ireland and extremely durable. You can choose between more than 40 combinations between size, fabric and colour: design your own Buddabag! Don’t let the name fool you, this is plenty of Buddabag, and is a wonderful and highly flexible alternative to a luxury armchair or recliner. With plenty of room to spread out, you’ll be reluctant to move after enjoying the support of all that memory foam. The Mini Buddabag, just like its bigger brother, is great for watching TV, playing games, listening to your iPod or HiFi, reading a book or newspaper, or just catching a few Zzzzz’s. Once kept fluffed up, your Buddabag will adjust to your sitting style in seconds. Great for a couple of kids to enjoy watching TV or playing games together, and perfect for you and a smaller child to have some relaxing quality time. it’s our most popular Buddabag. The Midi is best regarded as a very generous large armchair or a sumptuous mini-sofa for two close companions (or parent and child). If you’re feeling self indulgent, this king sized single seater has no equal for luxury and comfort. The Midi Buddabag is great for lounging in front of the TV, playing console games, listening to music, reading, or just having a snooze in the sun. If you’ve someone close to share with, a Midi Budda Bag makes a perfect snuggle seat for two adults or you and the kids. 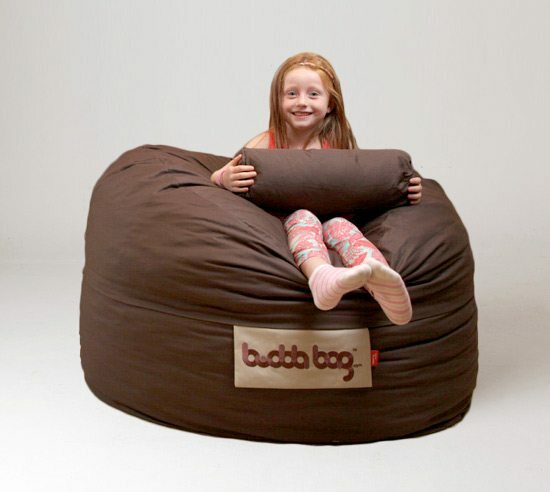 This is the ultimate Buddabag. The Maxi will allow you to dispose of our sofa and bring Buddabag comfort to your room. Being VERY BIG, it will accommodate 3 adults sitting side by side in a sofa function. There is more than enough space for 2, and doubles up as the most comfortable guest bed ever. This is one for ALL the family! Buddabag is not a a beanbag, filled with the highest quality memory foam so that it moulds to the exact shape of your body. We are very proud of our Buddabags and we hope you and your family will love them as much as we do! Whatever your tastes, there’s a buddabag to suit you. We’ve got a barrage of different sizes and fabrics to choose from! With the zip-off machine washable covers you can instantly change your Buddabag to suit your mood and you never have to worry about dirt and stains! In 2004 we put all our passion and knowledge in creating something extremely comfy and cool, but we didn’t want a common bean bag. Using the highest quality memory foam we brought to life Buddabag. Since then we have sold more than 20.000 bags in about 35 countries. You will understand why everyone loves it so much once you dive into a BuddaBag you’ll immediately know why it’s so special. Our collection is designed to let you create your own customised Buddabag! With three different materials, three sizes and eight trendy colours you can choose from over 60 combinations! The best part is that with just changing the cover you can completely change your Buddabag style…in less than one minute! It’s the most used piece of furniture in the house, I can’t get the kids off it for love nor money! No one can honestly compare these amazing pieces of kit to a beanbag, it’s completely out of this world how comfortable it is.